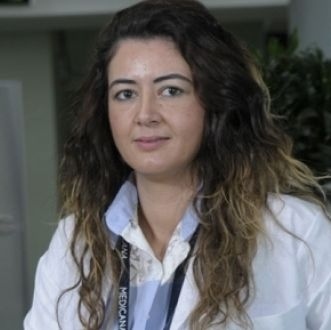 1- LEVİ A, GENCYİLMAZ N, MOLHO-PESSACH V , INGBER A, ENK C D Department of Dermatology, Hadassah Medical Organization – The Hebrew University Medical School, Jerusalem / Israel 2014. Increased efficacy of NB-UVB for psoriasis using individualized dosing with daily remittance measurement , Annual Meeting of the İsrael Society of Dermatology and Venerology. 3- Gencyilmaz Nilsu,MD, Arieh Ingber1, MD, Molho-Pessach Vered , MD Department of Dermatology, Hadassah-Hebrew University Medical Center, Jerusalem, Israel CUTIS MARMORATA TELANGIECTATICA CONGENITA ASSOCIATED WITH CROSS RENAL ECTOPIA, Meeting of the İsrael Society of Dermatology and Venerology. Israel 2013. 4- Renert- Yuval , Yael; Marva , Eytan; Weil , Merav; Shulman , Lester M..; Gencyilmaz , Nilsu , Sheffer , Sivan; Wolf , Dana G; Molho-Pessach, Vered .’’ Coxsackievirus A6 Polymorphic Exanthem in Israeli Children ‘’ Acta Dermoto-Venereologica, Volume 96 , Number 4, May 2016 , pp. 546 -549 (4) . 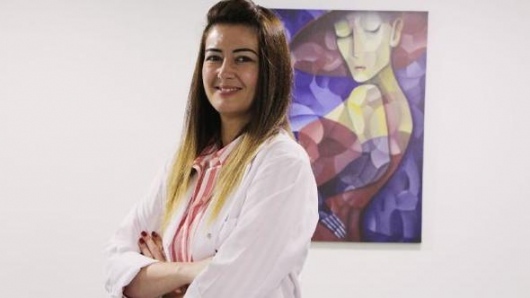 Dr. Nilsu Gençyılmaz,Medicana Çamlıca Hastanesi'nde hizmet vermektedir. 1984 yılında İstanbul'da doğmuştur.2008 yılında Maltepe Üniversitesi Tıp Fakültesinden mezun olmuştur. 2014 yılında Hadassah Medical Organization Hadassah Universitesi Hastanesinden cildiye uzmanlığını almıştır.